The application process takes anywhere from 1.5 to 4 hours, creating a glossy finish and immediately visible results that last up to four months. After treatment with La-Brasiliana, hair maintenance is virtually effortless and unscathed by humidity, rain or perspiration. 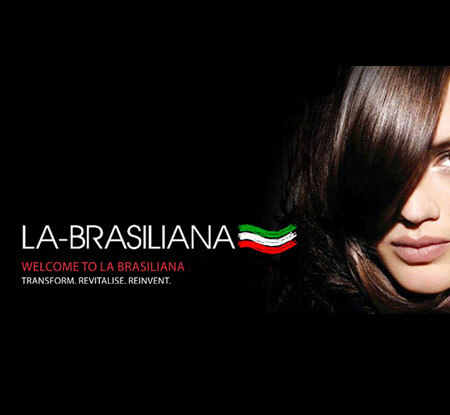 Yolanda chooses La-Brasiliana for her clients because they have a full range of options for different hair types. All hair is not the same and the treatment should meet the needs of the individual client. Other products contain too much formaldehyde and are not truly meant to straighten hair but to make it more manageable without frizz.